Any extra fun that blondes are having definitely comes to a screeching halt once dull, yellow-ish tones start to appear. This is why arming yourself with an arsenal of color-saving products is necessary, lest you spend your life at the salon getting touchups. Fortunately, there are plenty of stellar masks, shampoos, and conditioning treatments on the market specifically formulated to amp up and maintain your most gorgeous shade of blond ever—and leave it to Amazon customers to narrow down the best of the best, by way of their (very) honest reviews. Keep reading to see the brass-fighting products worth buying! This cult-fave, plant-based formula from Aveda is tinted to brighten silver and platinum tones and nix any brassiness, without leaving behind a tell-tale purple tinge. "A great product. Eliminates brassiness for a cool blond look. Smells great, and definitely worth the price." "Helped with brass tones! I am a brunette with highlights and it's hard to find something that works. The shampoo is clear dark purple and produces a white foam so it somehow does its job but does not cause stains!" 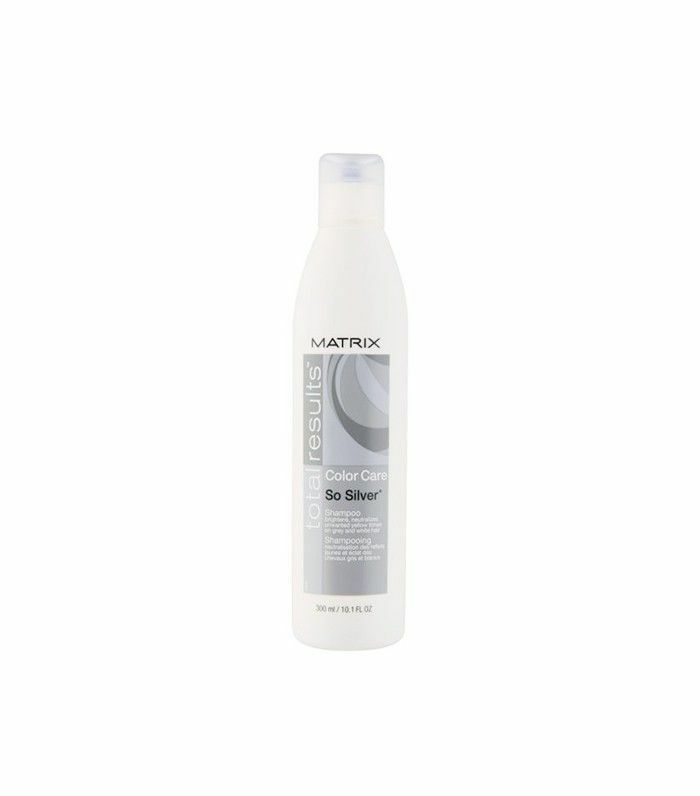 This magical conditioner tones, cools, and amplifies every shade of blond, from caramel to icy platinum. "If you bleach your hair and you don't own this, you're missing out! My stylist used it on me when I got my last haircut, and I had to come home and order it right away." "I love this! My hair is dyed med blond with very light cool blond highlights. I go very brassy. This tones my hair REALLY well and leaves it feeling soft." "This is a must-have. I don't think I can live without this conditioner! It makes my hair light and reduces the time I have to get it touched up. 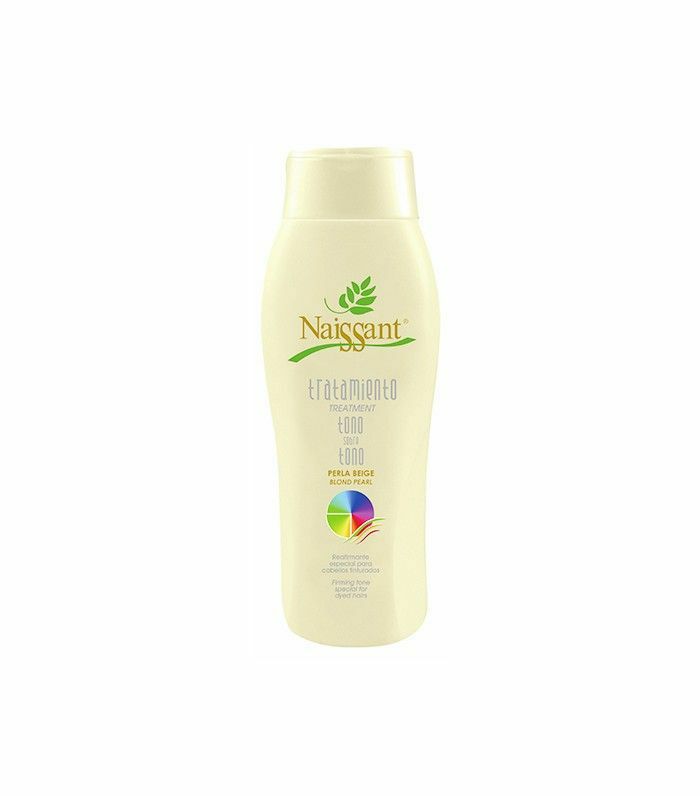 Before using this conditioner, my hair would become yellow after a few weeks after highlights. With this conditioner, they stay platinum blond, and I only have to go touch up my roots when they grow out." Amazon customers are obsessed with this leave-in conditioner, which keeps yellow tones at bay while simultaneously making strands silky-soft. "Not only does it de-tangle better than anything I've used, it adds moisture to my hair without weighing it down! And that's a feat. Since starting to use It's a 10 for Blondes, I've received comments that my blond highlights are brighter and glossier. I just love love it!" "My bleached blond hair hasn't been this silky and shiny since processing it. Even with glossing, toning and profuse amounts of hot oil treatments, my hair hasn't been this beautiful. I honestly can't stop staring at it." "Upon using this product you can tell a difference right away in the texture and feel of your hair. Especially if your hair is a little bit over-processed like mine is, it makes a huge difference. This product not only covers up your damage, it repairs the damage! I would seriously recommend it for any blonde." 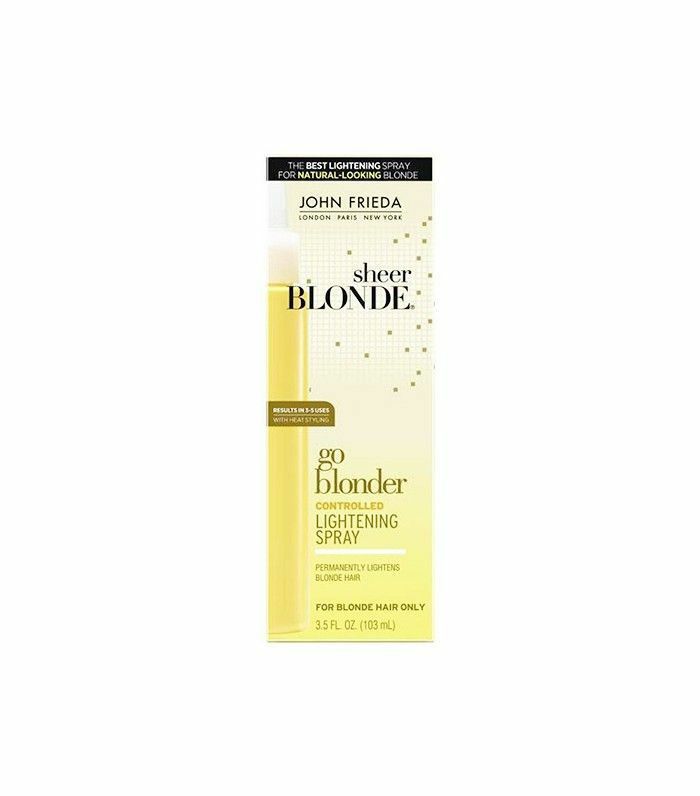 Those who fondly remember John Frieda's Lemon Lights gel will be seriously impressed with this new-and-improved take on the lightening product, which takes your existing blond to more sun-kissed heights with just a few spritzes. "I have natural medium-to-dark blond hair. Since I haven't been going out much this past year, my hair started to become duller and appear darker than usual. Even after the first use, I could see a difference in how shiny and bright my hair was. I wasn't looking to get bleach blond hair, and this product works well for what I really wanted." 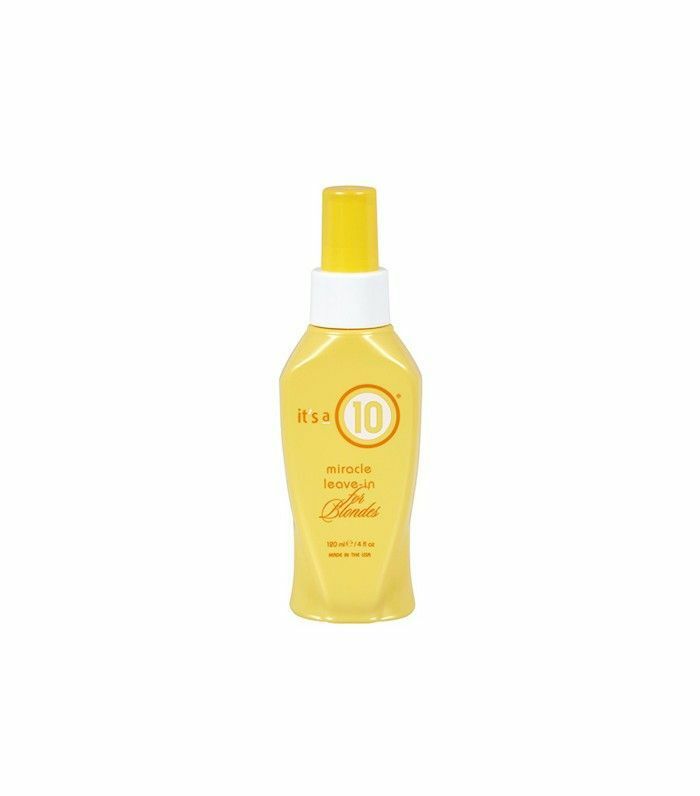 "I like this because it allows me to lighten my hair slightly without having to go to a salon. I simply spray it on wet hair a few times a month before I blow-dry it. It always lightens evenly and doesn't leave spots." 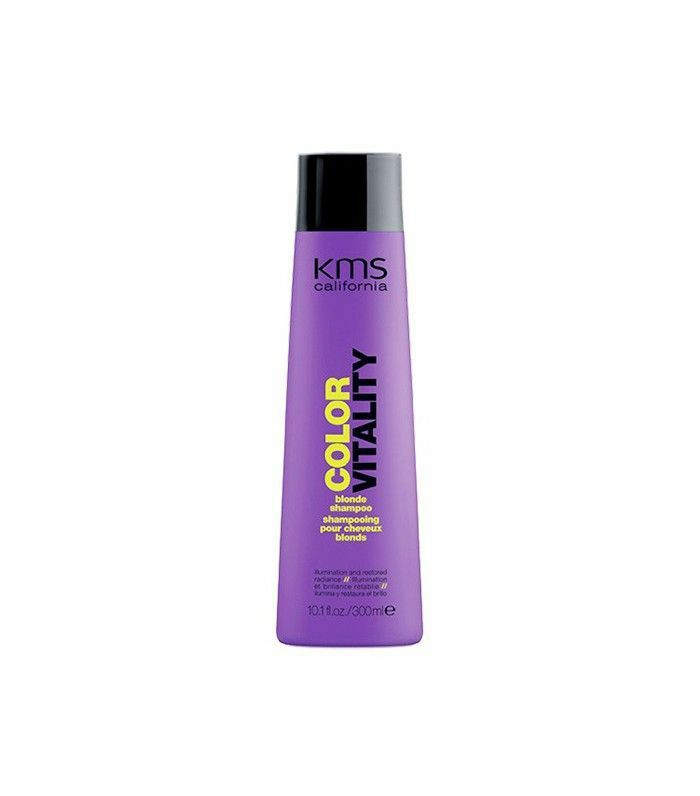 Use this purple shampoo to immediately brighten dull color. "This shampoo is amazing. It completely takes any brassiness out of my hair color. I use it about once every two weeks." "I love this purple shampoo. It smells good and does a great job of getting the 'yellow' out. It also leaves my hair soft, unlike some others I have tried. 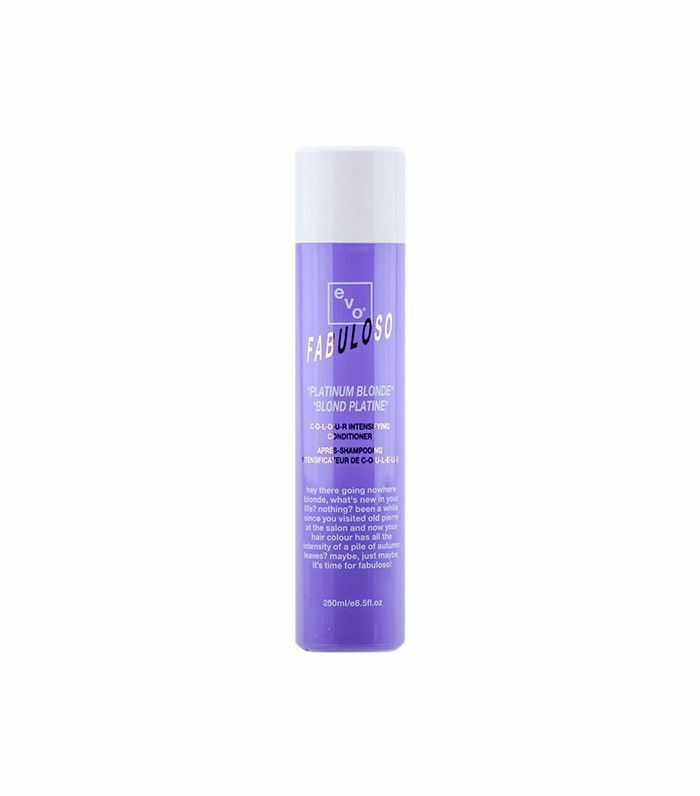 I recommend this product to any blonde or silver-haired friends out there." "This is a great product if you have blond highlights and live in an area with hard water. My stylist recommended it after my highlights turned brassy. It took some courage to use it the first time, as it is fiercely Muppet-purple coming out of the bottle. I've been using it for a month now, and my highlights look like they were just done." We're huge fans of Murphy's entire highly-effective haircare collection, and this lavender-infused cleanser is a standout. "The Blond Angel shampoo and conditioner take my hair from golden yellow blond to a bright platinum. I have highlights and lowlights, and it doesn't strip my darker color; [it] just makes the blond pop." "I dye my hair at home, and this stuff keeps it looking salon quality (seriously, the first time I went to a new hairdresser he thought I had paid to have my hair colored). 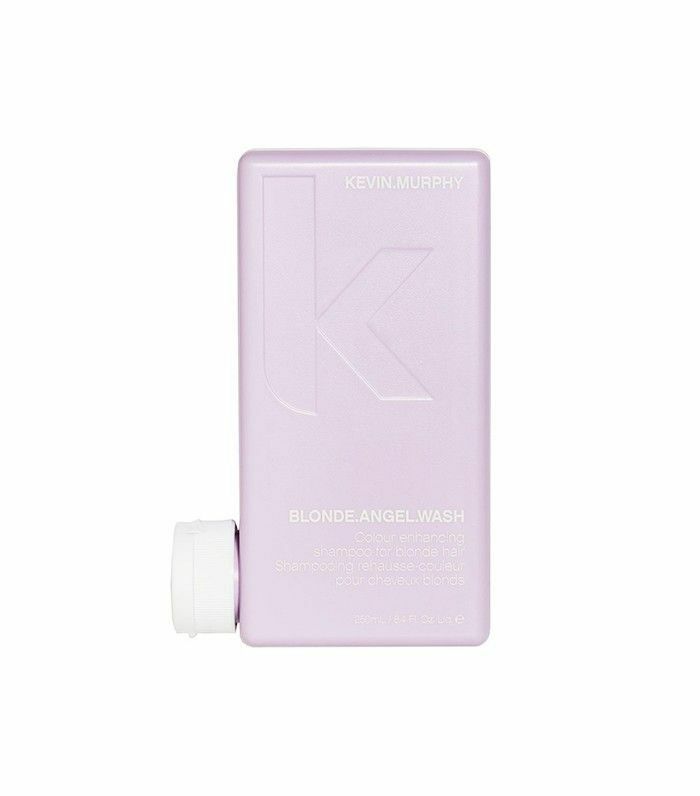 I swear by Kevin Murphy. This with the treatment keeps your blond from turning orange or "brassy." So if you're a darker blond and you dye your hair lighter, this keeps you looking natural rather than yellow. Absolutely worth every penny." 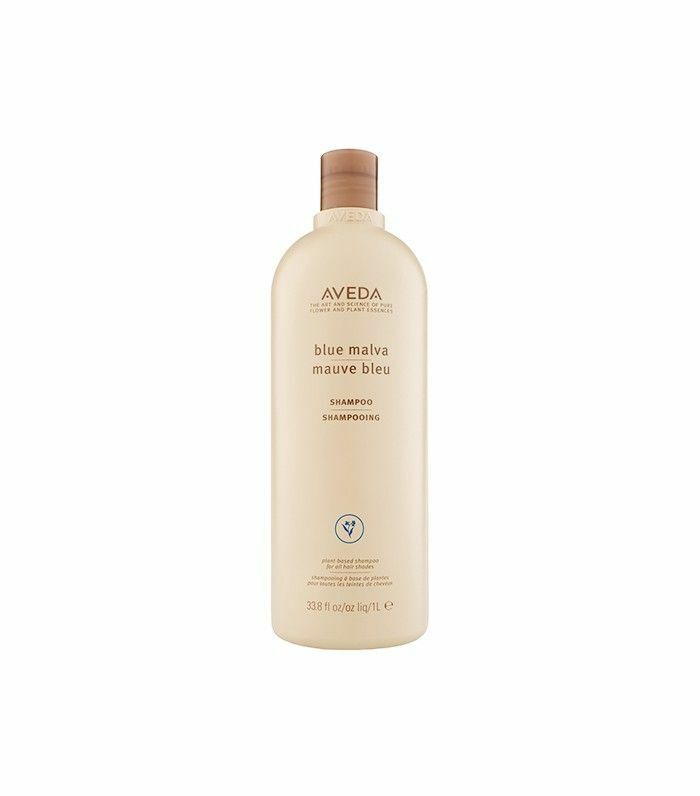 Formulated with natural ingredients like rhubarb and lavender, this shampoo brings out ashy tones and banishes yellows. "It took me a long time to find the right shampoo. I have always struggled with my blond hair going brassy and looking dry. Now it is soft and the color stays great in between color sessions. I can even go longer before coloring my hair. Wish I had found this sooner. The protein is really great for your hair." 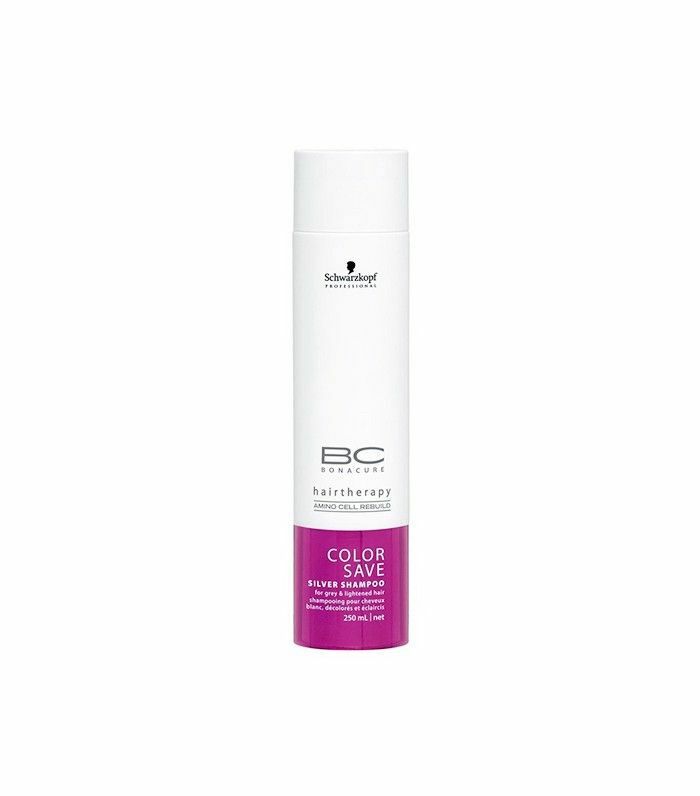 "This is my favorite purple shampoo. Most I've tried leave my hair flat or with a residue, and I still want to wash my hair with a different shampoo. I can use the KMS as my daily shampoo, my hair feels soft and clean! It smells great and helps fight yellowing." This wallet-friendly treatment instantly gives less-than-vibrant hair salon-worthy status. "The treatment was amazing after just one use! Brassiness gone! [I was] left with beautiful, wheat-colored, shiny blond hair that is so soft I can't stop touching it!" "This product made a VISIBLE difference in how my newly colored hair looks. My hair came out a bit lighter from the color that I used and was definitely on the brassy side (not good). So, I took a chance with this 'cheap' product, based solely on all of the positive reviews, and I am absolutely thrilled that I did so. In this instance, the cheap price tag does NOT mean a crummy product. This does everything that it promises." Those with icy or platinum locks should reach for this brightening shampoo, which targets any dull, dishwater-y tones. "Gets hair clean, reduces the yellow, and doesn't leave the feeling residue like some purple shampoos do. This is my favorite." "I love this shampoo. I bleach my hair a lot, and this keeps it from getting brassy." Maintaining the proper hue isn't the only work of going blond—bleaching your strands repeatedly can leave them prone to dryness and frizz. This color-correcting mask deeply conditions as it tones, thanks to nourishing ingredients like vitamins B5 and E, olive oil, honey, and wheat protein. "Purchased in an attempt to fix a bad blond highlighting job. A friend recommended this and thank goodness! Took all the copper tone out of the champagne-colored highlights." "It has given my hair shine, volume, and toned it to a much better shade [than] when I first left the salon! Totally recommend this amazing toning treatment!" This leave-in treatment amplifies color and shine, plus it fortifies strands to prevent future fading. "I spray this on my washed hair after I come out of the shower, and it detangles and makes the hair shafts smooth. You need very little and the bottle lasts a long time." 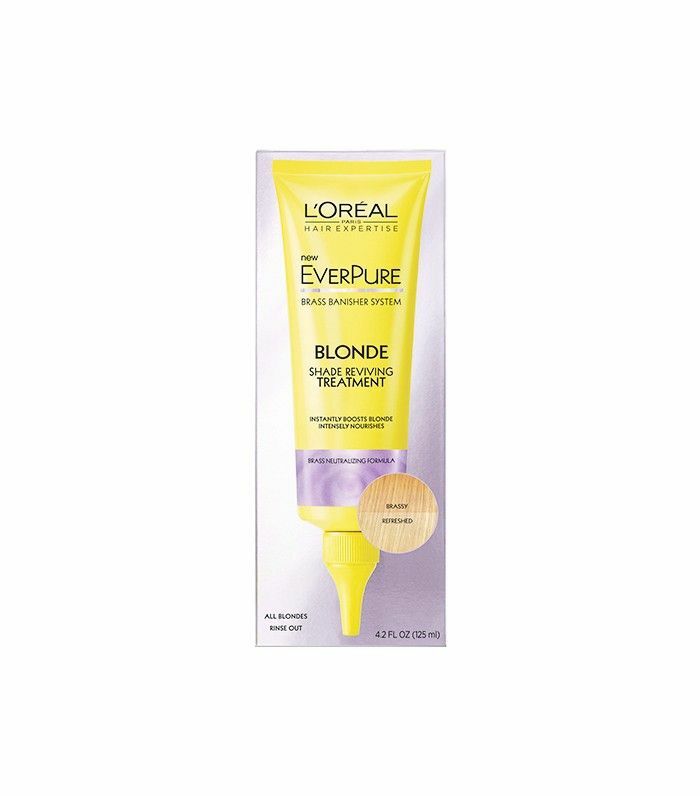 "This product is great for highlighted blondes. It keeps the color brighter longer and truly helps my hair from getting dull." 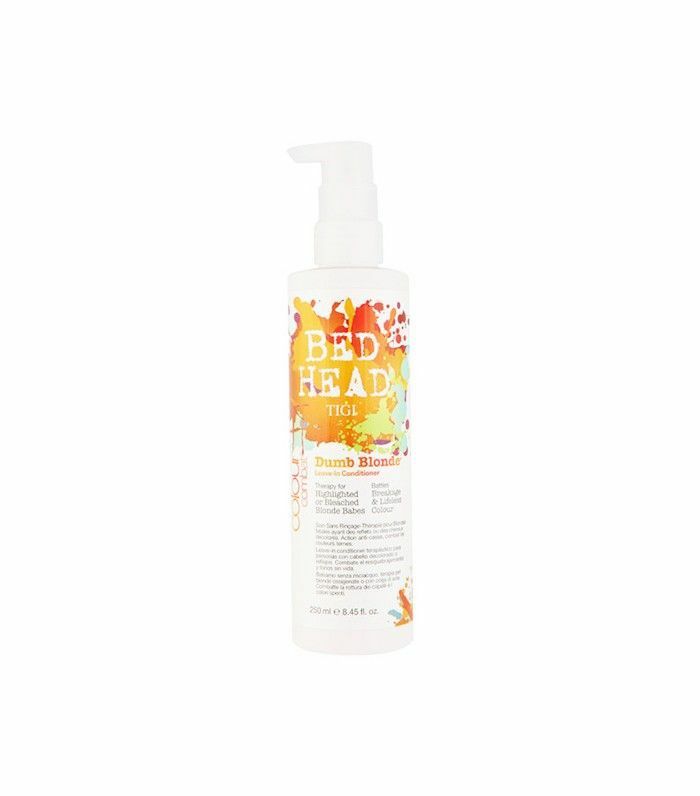 "Use this after washing your hair as a styling aid. Adds body, seals ends, and SMELLS HEAVENLY!" In addition to helping reverse brassiness, this shampoo comes with a sweet bonus: It was formulated to reduce drying time. "This, paired with Keratin shampoo, keeps my hair from turning orange and keeps it silky." "Made my blond so much brighter in just one wash. I swear by this stuff!" 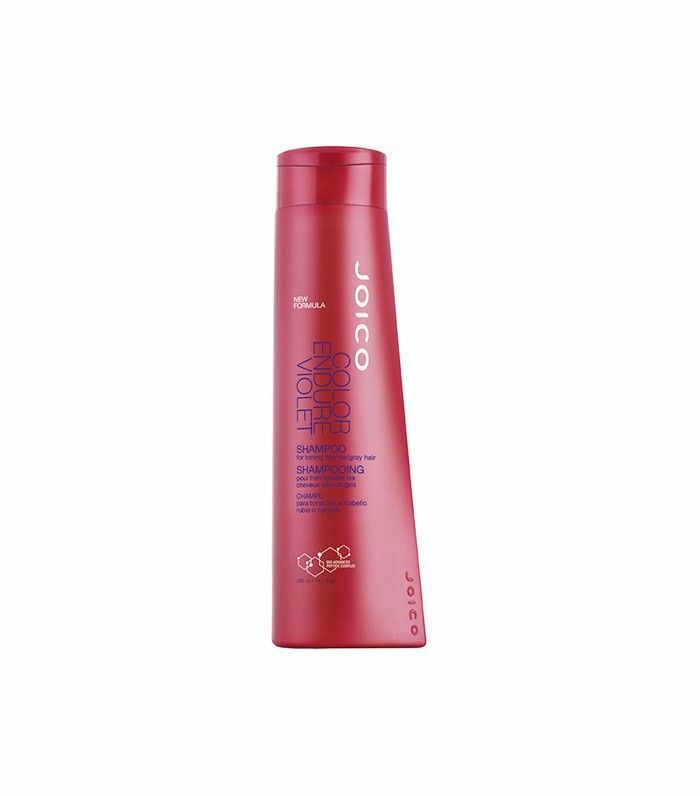 Customers report that they can literally see brassiness disappear before their eyes with this fast-acting shampoo. "The shampoo has really dark purple pigments indeed. This helps tremendously with the brassiness, and does a great job at taking the brassiness out, and then it keeps my highlights ashy/silver. Besides that, the shampoo smells really great! It has this beautiful flowery smell that doesn't smell intense after your hair is washed. It also has some silver pigments in it, which kept my highlights shiny and fresh looking." "The best shampoo to help keep my hair an ash blond instead of yellow or gold. I swim every morning and noticed that I was getting that all too familiar yellow/gold/green tint to my hair, and this product fixed that in one shampoo." Boost color and moisturize strands with this all-in-one treatment. "This stuff is great! 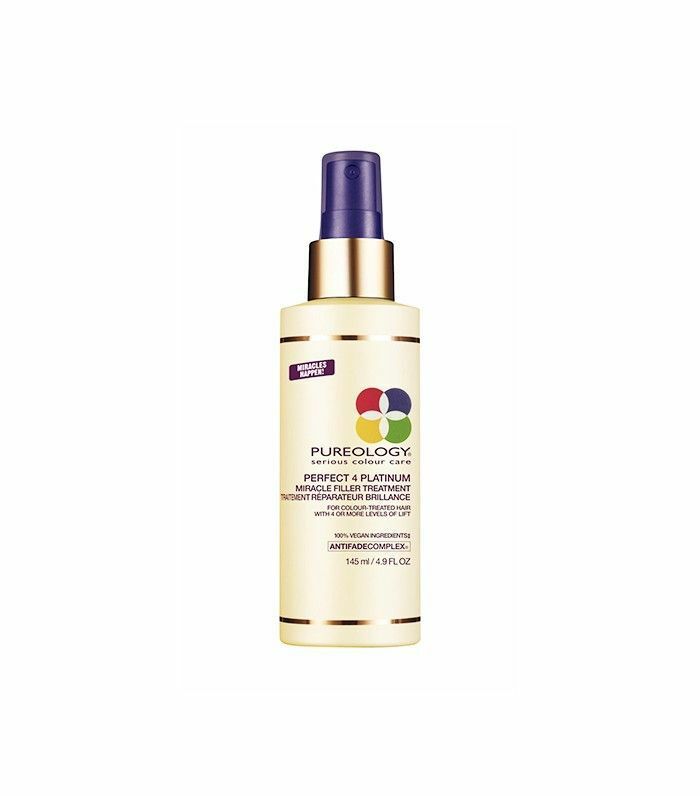 I have short platinum/yellow blond hair, and I fight brassiness/orange tones with purple shampoo but it is EXTREMELY drying and that's where this magical product comes in handy." "Great stuff! Unlike other leave-ins, it doesn't seem to make gray or bleached hair yellow over time. It smooths, de-tangles, and gives fine, fly-away hair enough weight to look clean and smooth but not oily or dirty. Of course, you need to experiment a bit to figure out how much is right for you, but overall this is the best leave-in for light-colored hair I've tried." This moisturizing shampoo was designed to bring your blond strands to their silkiest potential. "Simply the best blond toner on the market. Having been a very light-ash blonde my whole life, I always struggle with my hair [and brassiness]. 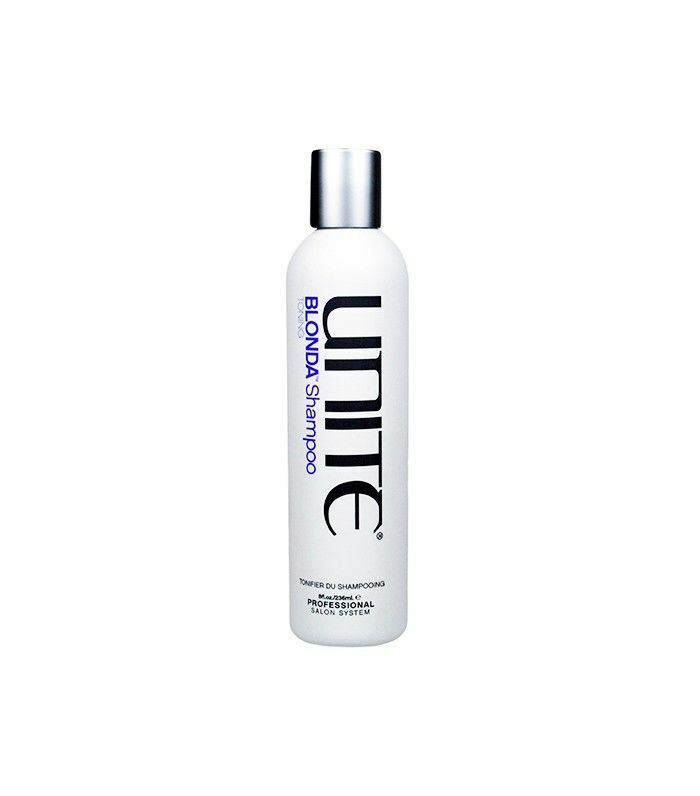 Regular use of Unite Blonda keeps plenty of cool in my hair to keep me happy!" "I wash my hair every day, and so [I] want a nice gentle shampoo that will help the color last between visits to salon while keeping my hair smooth and shiny. I LOVE this shampoo. My hair has never been in better condition." Want more info on how to make the most of your blond hair? Make sure you're following these five rules, for starters.